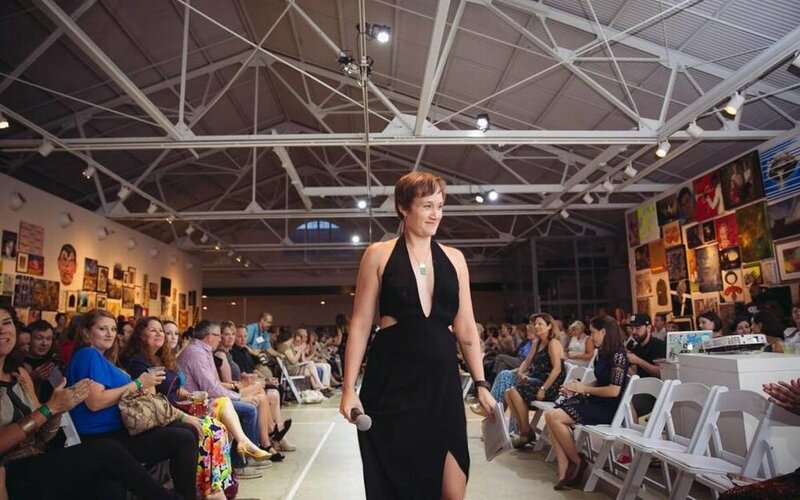 Triangle clothing designers in the upcoming Redress Raleigh fashion show are fighting against what they call “fast fashion”: garments mass-produced in factories that pollute the environment and often have poor conditions for workers, they say. Catherina Gomes’ clothing company, 700 Rivers, offers shimmering tank tops and flowing, colorful skirts made from gently used saris. Gomes’ line will debut at the Redress Raleigh fashion show Aug. 18 at CAM Raleigh, but like the other items that will be on the runway, 700 Rivers’ pieces are pretty with a purpose. Gomes, whose parents are from Bangladesh, was moved by a 2013 garment factory disaster that killed more than 1,000 Bangladeshis to start a company that fairly employs workers in the country. The show features seven design collections, from tween girl apparel to ecochic swimsuits. Last year’s event sold out with about 250 attendees, and Redress Raleigh director Beth Stewart hopes this year will be the same. Stewart helped found the nonprofit, which had its first fashion show in 2009. Redress Raleigh promotes sustainable fashion, including clothing that’s “upcycled,” or made from already existing clothing, dyed naturally or handmade. Gomes and 700 Rivers lead designer Divya Ramaswamy are dreaming big. One of Bangladesh’s main exports is textiles, but when Gomes visited there at age 8, she was shocked by the rampant poverty. 700 Rivers has already worked with Thanapara Swallows Development Society, an organization in Bangladesh dedicated to improving quality of life there, including through its “handicrafts” initiative. Thanapara Swallows made 700 Rivers’ first batch of items. Gomes and Ramaswamy were in Redress Raleigh’s “incubator” program along with some other designers who’ll be in the upcoming show. They’re Mariangela Walker, who designs organic T-shirt dresses, and mother-and-son duo Teresa and Giovanni Perna, who focus on organic cotton apparel. Dr. Katherine Annett-Hitchcock of N.C. State University’s College of Textiles led the incubator’s six seminars, which focused on helping the designers turn their dreams into businesses that can make change – and money. The result was empowering for Gomes, who’s a chemical engineer by day and a fashion entrepreneur in her spare time. “I wanted to create my own change instead of waiting around for other people to do it,” she said.